The whole world today has obsessed another world with one operating system, which is revolutionalizing the mobile phone market. Today, that very technology is the most popular smartphone operating system with the market leadership of over 85%. The Operating System we are talking about is none other than ANDROID. Android Inc. was founded by Andy Rubin, Rich Miner, Nick Sears and Chris White in Palo Alto, California in October 2003. It is the operating system that powers more than one billion smartphones and tablets. 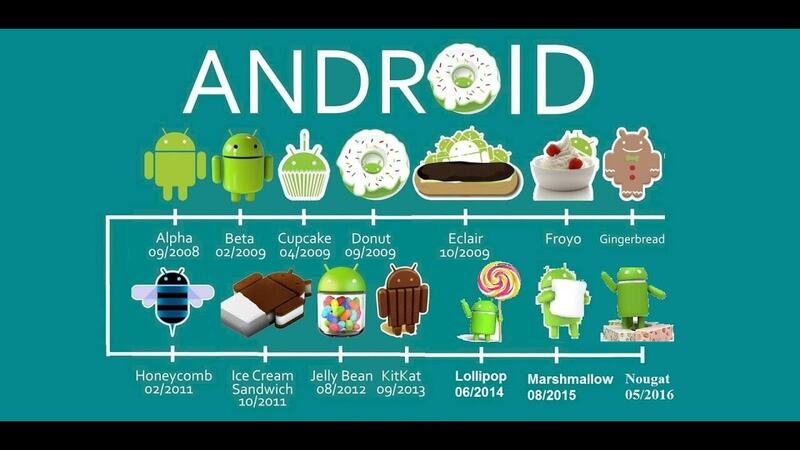 Since these devices make our lives so sweet, each Android version is named after a desert. Whether it’s getting directions or even slicing virtual fruit, each Android release makes something new possible. So Android, it’s been more than 10 years now and it all started with the release of the HTC Mobile G1 back on September 23, 2008. 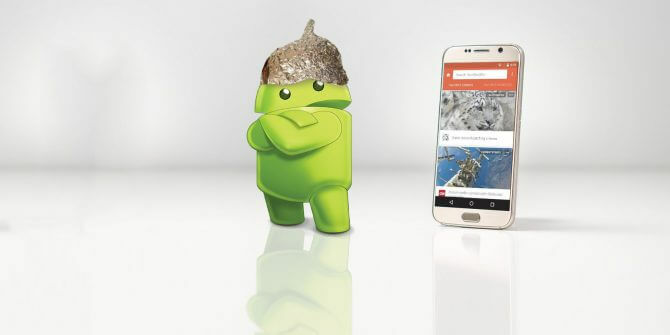 Why did Google bother making Android in the first place? 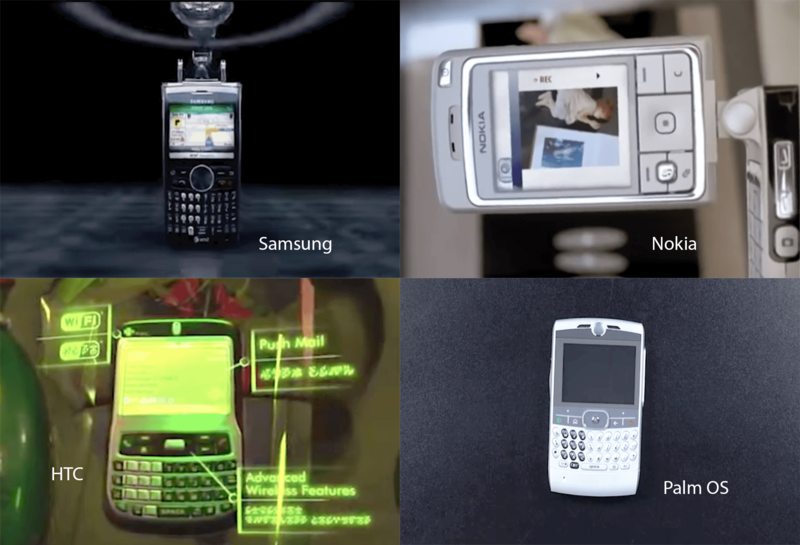 When you think about smartphones battles today, you pretty much think of it as Android versus iPhone, and that’s how it is, but back before the iPhone, and even right after the iPhone came out, the world looked a whole lot of difference. A phone was actually relatively small. They fit in the palm of your hand and most of them didnt have touch displays, If you did have a smartphone, chances are you were either in IT, you worked on Wall Street, or you were huge nerd, like me! Anyway, here’s how things looked back in 2007. 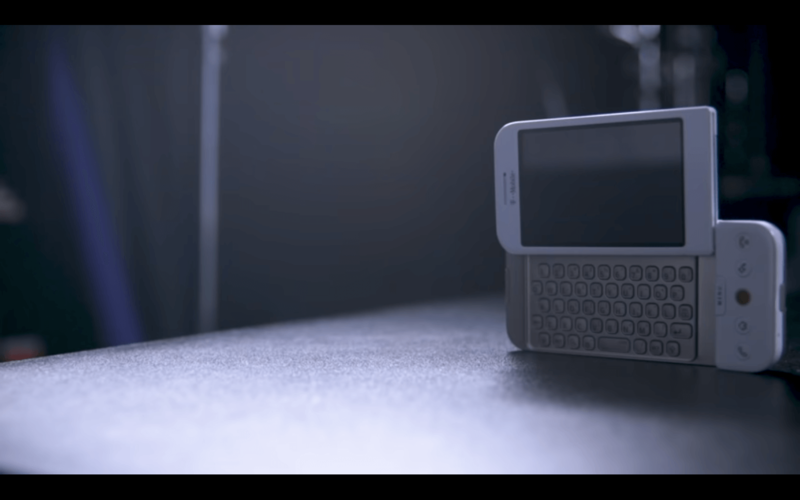 Blackberry was kinda the king because its devices were simple, they were fast, and they had super long battery life. Palm was running out the clock on Palm OS and trying to figure out what it was gonna do next. Nokia was doing some Symbian stuff and basically, everybody else was making windows mobile devices which went from Pocket PC to Windows Mobile when Microsoft started focusing more on phones, but this was before Windows phone existed. Anyway, the point is Microsoft was trying to replicate the Windows PC business model but with phones, so it partnered with Samsung, Motorola, HP, HTC and a bunch of other smaller manufacturers. And a lot of these smartphones felt like overgrown PDAs with antennas tacked onto them. But, that was starting to change by the time the iPhone rolled around. 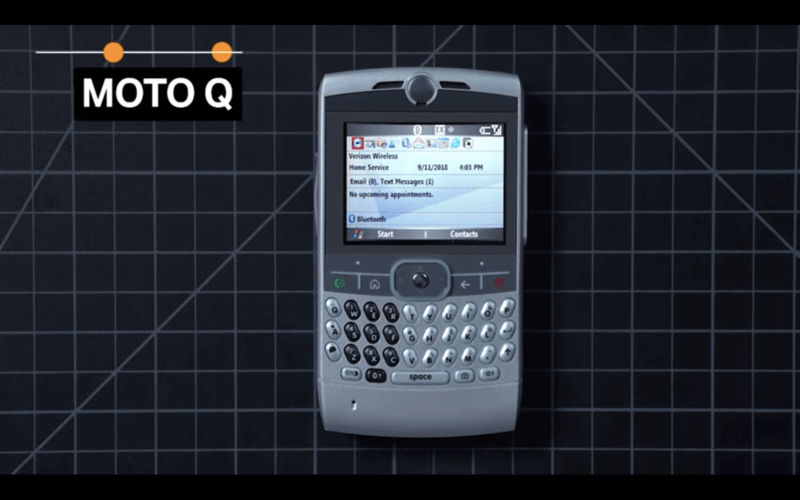 This right here, this is the Moto Q, the original. It ran Windows Mobile and it came out in 2006. Now, I’m not saying that this was the best smartphone back then but it was actually in the running, and there are some really cool things about it. It’s got the backlit QWERTY keyboard. It’s got the dope jog dial and it was one of the phones that made people realize that something nerdy like a smartphone could actually be accessible to more people. Anyway, this thing, this kinda gadget, dorky looking phone above, or more specifically phones that are just like it, they were the thing that made Google think that it needed to do Android. Okay, so why do we know that? Well, let’s start with some, Take a look at this thing. This is the sooner. It was the very first prototype of an Android phone. It looks kinda familiar, doesn’t it? It looks kinda like the Moto Q eh? 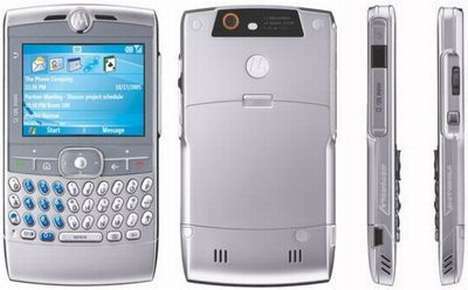 Or kinda like this other phone which came out a little bit later, it’s the Treo Pro. Fun fact, I heard that when Palm was in really bad places it went to HTC and basically took something. 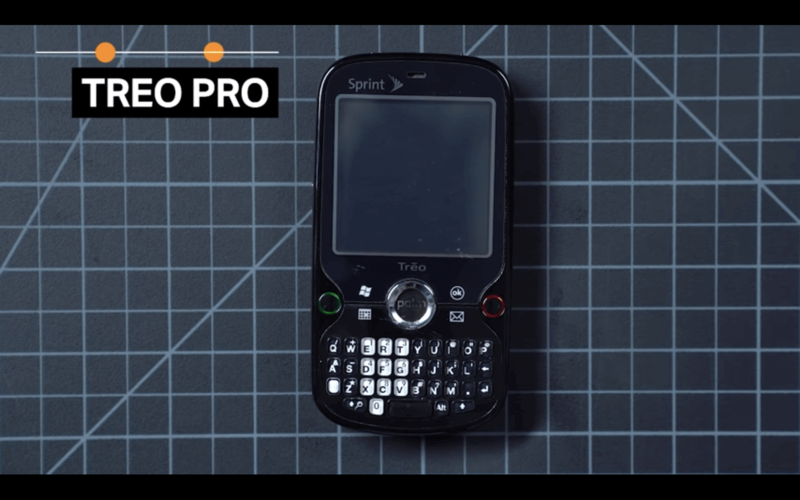 HTC had already been developing and had them turn it into this Windows Mobile Treo for them. It’s possible that this Windows Mobile Treo device right here is what the Sooner sort of, maybe, eventually turned into, maybe. 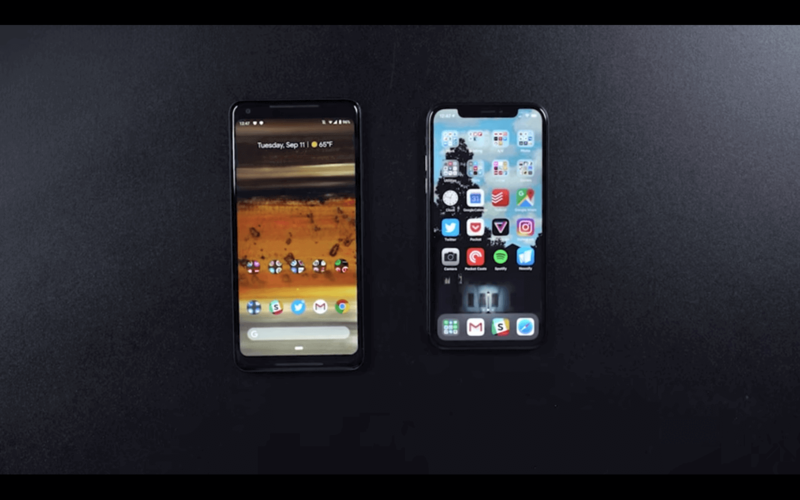 Anyways, the phone was like this and the Samsung Blackjack and the Moto Q, that showed that Microsoft was maybe getting closer to actually kinda knowing what it was doing in mobile, and so Google saw these phones and it decided it needed to gun for Microsoft, not Apple at the time, soit bought Andy Rubin’s Android company and it got to work. Maybe you’ve read this famous story about how Andy Rubin reacted to the launch of the first iPhone. According to an article in the Atlantic, he was in a car watching the keynote, and when he saw the iPhone he said, “Holy crap! I guess we’re not gonna ship that phone!”. He said we’re not gonna ship that phone, he meant the Sooner because compared to the iPhone it looked instantly dated, it looked like these Windows Mobile phones. Now according to Diane Hackthron, a Google engineer at the time, she said that “the decision to drop Sooner was well before the iPhone announcement, though we continued to use it for quite a while, internally for development, since it was the only semi-stable hardware platform that we had”. 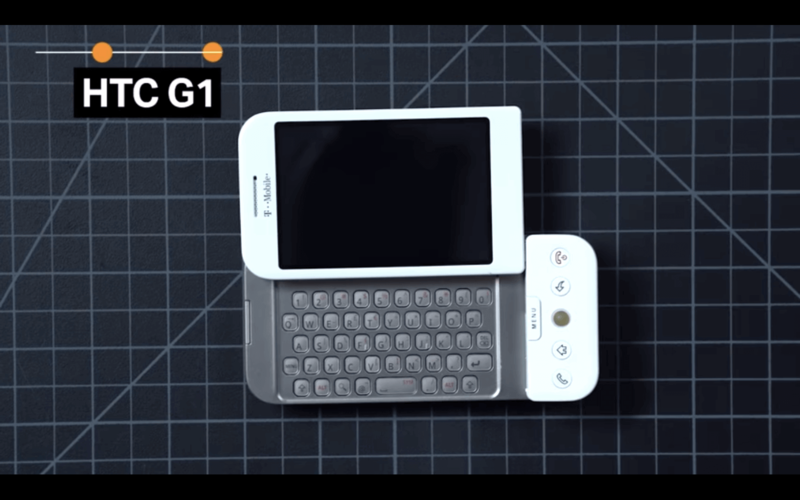 Whichever version of the story is true, the end result was this, the HTC G1, which was code-named “Dream”. it was the first commercially available phone that ran Android and it was unveiled a year and some change after the iPhone. Now compared to the Sooner this is much more advanced. It has a touchscreen for example. And compared to Windows Mobile phones also feels pretty advanced. 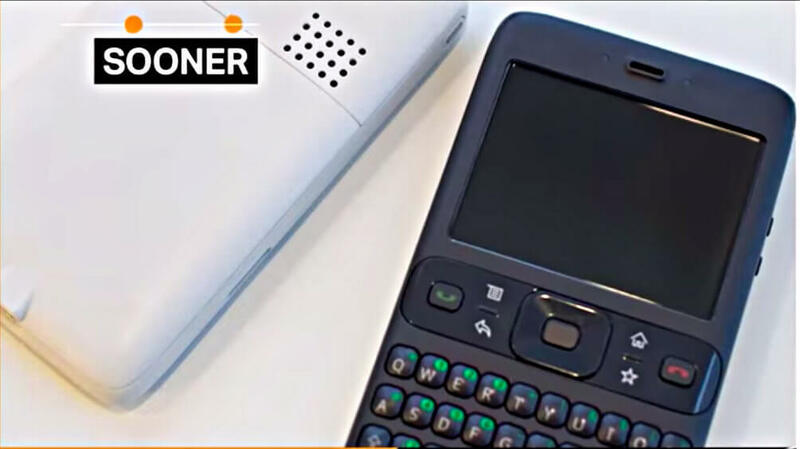 It has a landscape keyboard that you can type on, and this cool Sidekick lookin’ flip-up thing, and it’s got a scrollball, and you can also put SD card in it. This is a super gadget, using it, looking at it, you can really tell that they were more focused on getting business users and taking on Windows Mobile than they were just trying to take on the iPhone. So I admit, this is all circumstantial evidence. And you probably want actual evidence. And you know what makes really good evidence? Actual evidence, Google’s former CEO said that “Android was about taking on Windows Mobile“. “We were quite concerned about Microsoft’s products. It’s hard to relate to that now, but at the time we were very concerned that Microsoft’s mobile strategy would be successful. This was before the iPhone was announced and before the whole iPhone revolution occurred”. The whole structure of how Android works was designed to undercut Windows Mobile. Samsung, LG, and HTC, basically most of the companies that were making phones back then were making Windows Mobile phones, and Google got them to make Android phones too. And then make them basically exclusively. That was the trick. That’s why you have an entire ecosystem of Android phone partners. Google knew all of these companies would want to make phones, so it knew it had to make the operating system those phones would run. 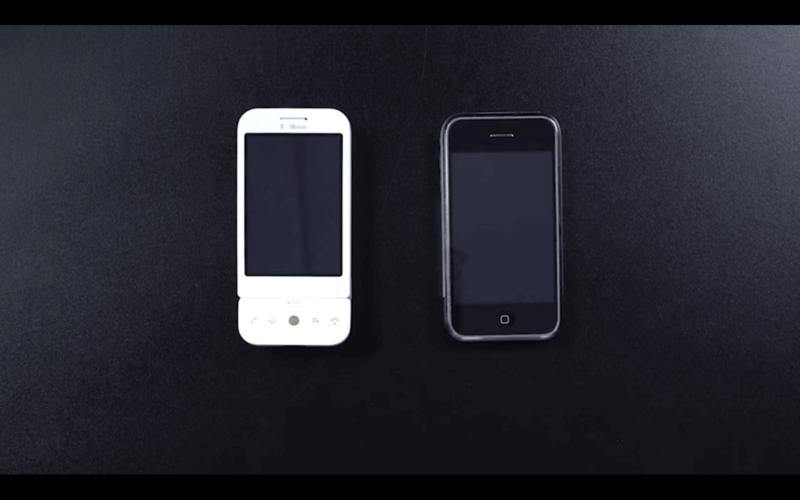 Google wanted for phones what Microsoft had on the desktop, scale. They wanted Android on every phone because more Android customers meant more searches, which means more money for Google because Google makes all its money off of people using Search, and that’s how they paid for Android. Giving Android away for free actually made Google more money because more people were using, and it undercut Microsoft which was making companies pay a license fee for Windows. The bottom line is if you’ve ever wondered why Android works the way it does, why even today there’s still weird quirks like menus and back-buttons and whatever, don’t look at the iPhone.You should actually take a look back, way back, at the Moto Q because this is what they were trying to compete with.